Children should not be a number. : Everything is Awesome! "So Opt In to Testing"
Everything is Awesome! 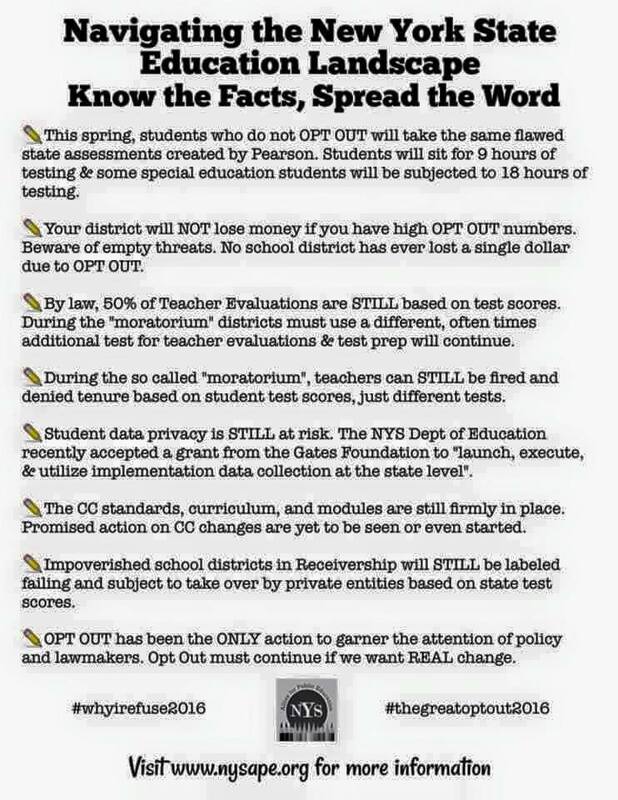 "So Opt In to Testing"
NYSED Commish Elia is trying to convince families to "OPT IN" to testing this spring. Part of Mrs. Elia's public relations campaign is claiming NYSED has reduced amount of testing in 2016. Well, talk is talk, and facts are facts. Are these times age appropriate? Consider 8 year olds will be tested for over an hour for 3 straight days for ELA and then repeat the next week for math. Students with IEP/504 extended time accommodations could be working twice as long. Students who are "working productively" basically have unlimited time until the end of the school day. The NYSED document linked here even gives guidelines for a lunch break for students who need more time to complete the test. Does this information make you want to OPT IN to TESTING? 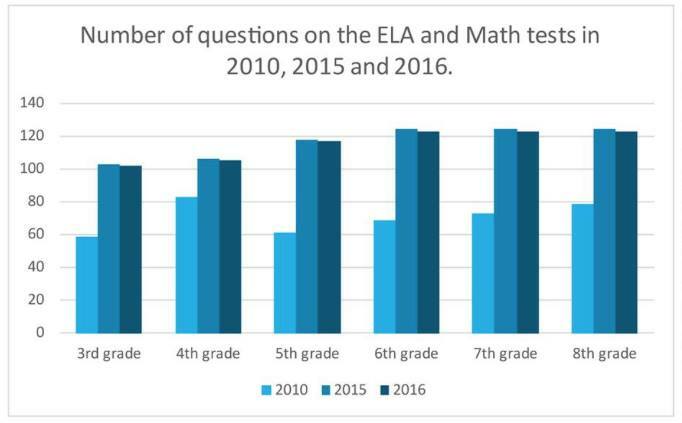 How about claims that the number of test questions have been reduced? Do you believe the PR or the facts? Removing a question or two is not the change New York families want. Do not let Commish Elia or local school officials convince you otherwise: NOTHING HAS CHANGED! The Refusal movement must continue. Opting out is the only way to bring about positive education reform and end the harm of the high-stakes testing regime. Opt Out is grassroots, parent led. My child is doing fine, why should we opt out? Opt In to Testing DEBUNKED!! !